Time lapse of a beautiful sunrise view with reflection overlooking a city skyline. Full HD. 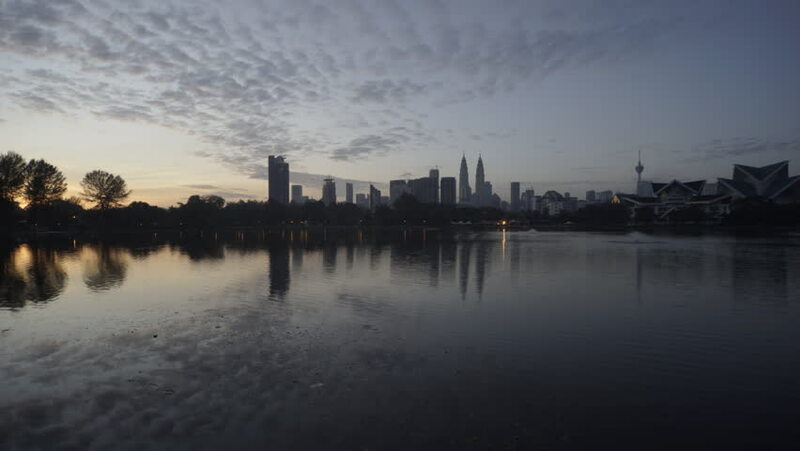 hd00:29Kuala Lumpur timelapse view from Ampang Lake during sunset.